Further to the vibes I’m experiencing with this 610 I’m wondering whether the balancer has been left out by the previous owner. Nope. What I’m seeing is two balancers. One above left of the clutch and another in the opposite side in behind the stator cover. Can someone give me some input on these two balancers? 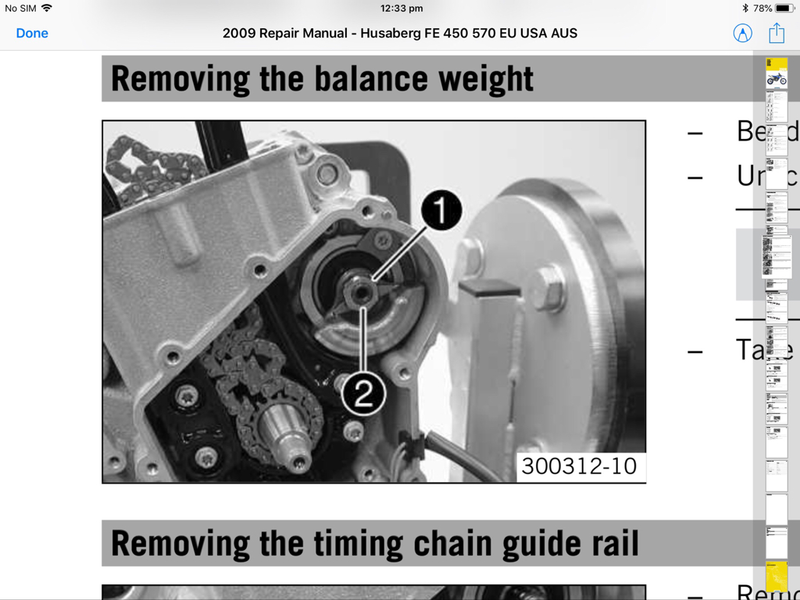 Obviously one is a counter balancer for the crank assy, but the other? Last edited by Alan; August 31st, 2018 at 04:56 AM. Sorry guys, I have worked it out. 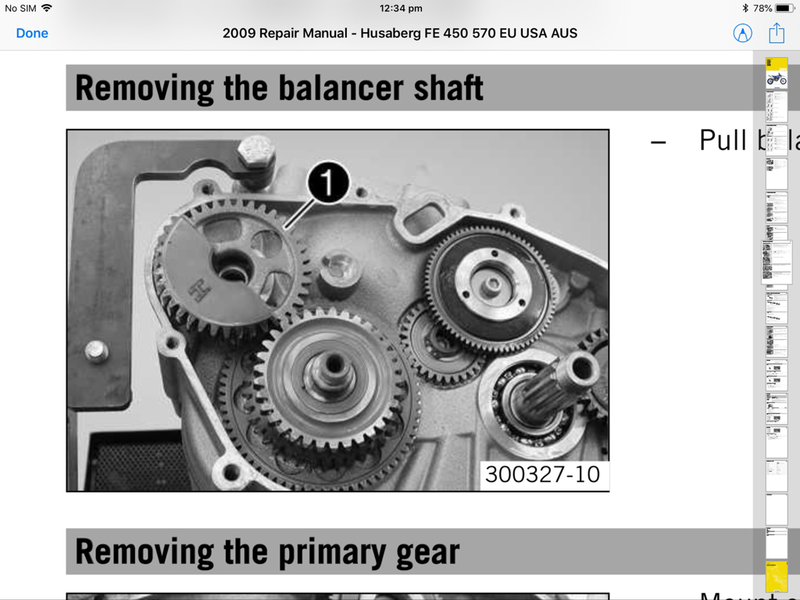 The balancer on the stator side is part of the the same balancer assy on the clutch side. Next is to check these have been assembled correctly. Balancer is all good and dots aligned. Bugger! 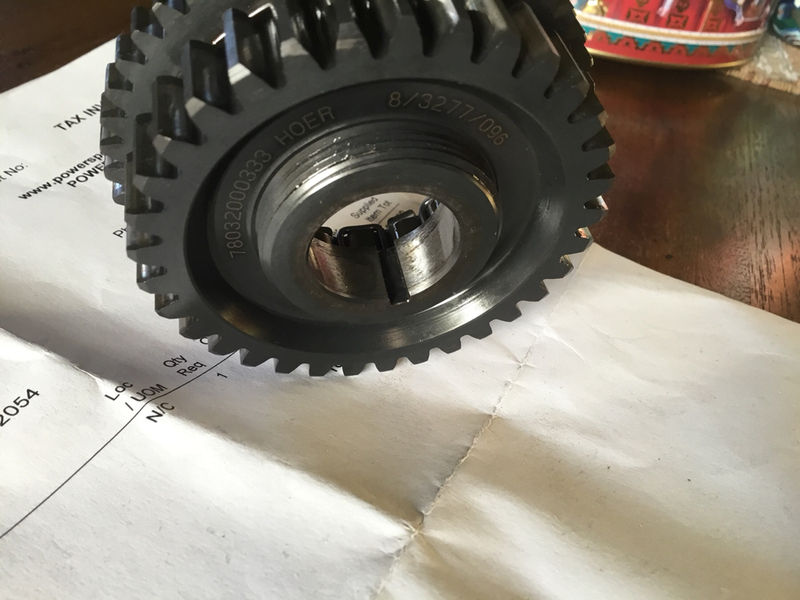 For those that have done bent Berg engine assembly, can you verify whether the split in the thread of this gear is of OEM? It’s on the crankshaft. 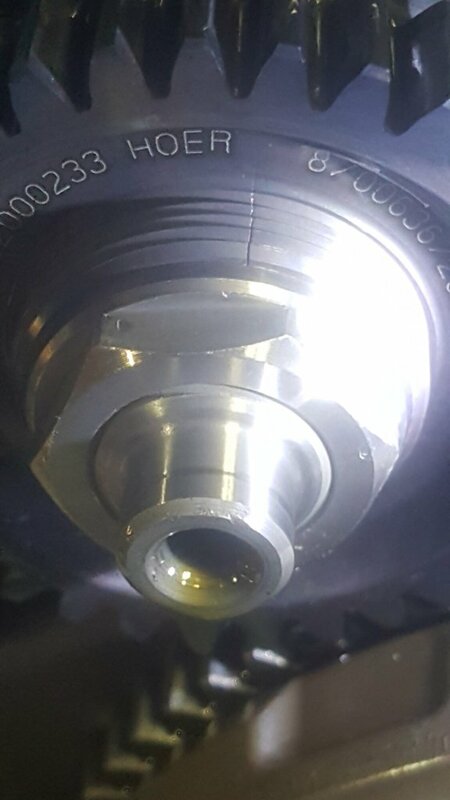 It’s connected to the starter by a couple of idlers. The top section of it is in behind the balancer. Ayyy, I would doubt that that is OEM. I have no concrete knowledge though. Nah it’s not mate. How a crack would appear there is beyond me. I cant remember seing a crack like that. Im not home until Monday to verify. Once I zoomed in Jon I could see it wasn’t factory. The one off the spare engine looks healthier. I’ll have to source another for this spare engine so it can be turned into a 610/662.